A cake pop is cake, baked in an appealing shape, hand dipped in frosting, and decorated to taste, all on a stick to be eaten as candy. 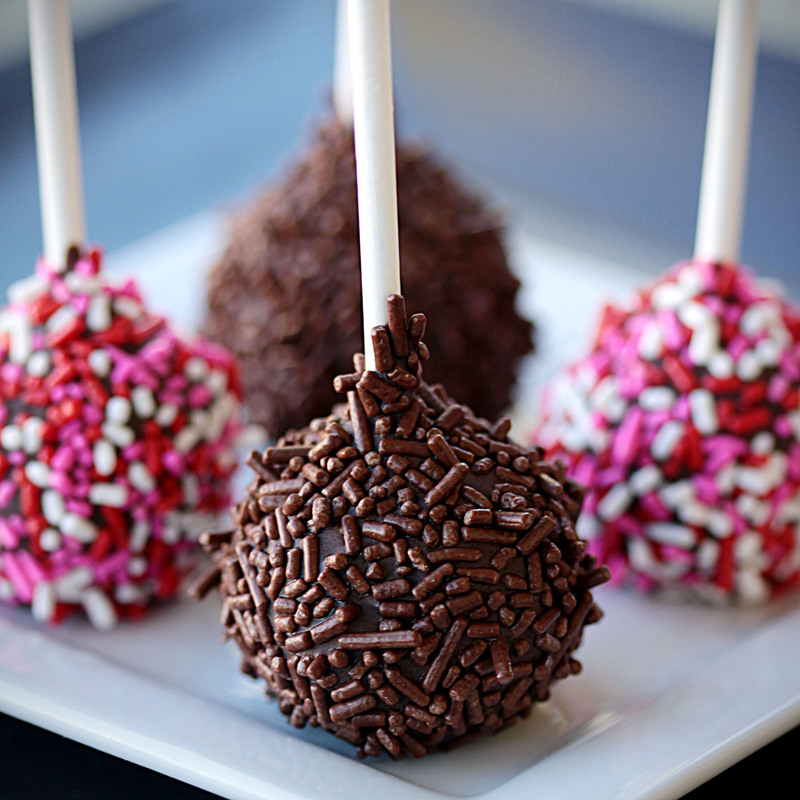 Other variations of cake pops are cake balls, cakesicles, cupcake pops, and cake-on-a-stick. Cake pops in recent years have become ubiquitous to Starbucks coffee shops. 1765 The British Parliament passed the Quartering Act, which required American colonists to provide temporary quarters, food, drink, etc. to British troops stationed in their towns. 1896 Clement Hardy received a patent for the rotary disk plow. 1989 The worst oil spill in U.S. history (up to that point) occurred as the Exxon Valdez ran aground in Alaska’s Prince William Sound, and eventually leaked 11 million gallons of crude oil. The effects on wildlife and fish was devastating. 1990 R.I.P. Cookbook author Jane Grigson, age 61. Your posts! Love the combination of food love and learning! Thanks. It’s a cake on a stick! Yeah, no…no matter how many infomercials tell me that Cake Pops (and Super Donuts) are a Thing, if I want cake, then I will eat a PIECE of cake or buy A donut. Stop making things out of things that aren’t things!